Proving that the movie industry is nothing if not forgiving (when it comes to famous white men), The Hollywood Reporter says that Universal is going to let Seth Rogen and Evan Goldberg write and direct an adaptation of the long-running superhero comic Invincible. 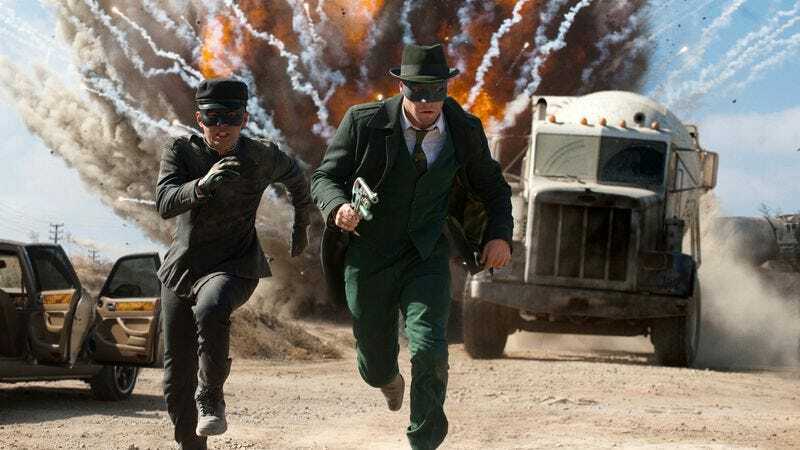 This is despite the fact that Rogen and Goldberg’s last foray into the world of superheroes was writing the 2011 Green Hornet movie, which barely anybody liked and barely made any money. That’s all in the past, though, and Rogen and Goldberg have made Preacher since then, so all is apparently forgiven. As for Invincible, it comes from The Walking Dead mastermind Robert Kirkman and artists Ryan Ottley and Cory Walker, and it centers on a seemingly normal high school kid who happens to be the son of a powerful superhero. Eventually, he gets powers of his own and the job of defending the planet then falls on his shoulders. In a statement, Kirkman says that Rogen and Goldberg “have proven themselves to be top-notch directors with a keen collective eye for stunning visuals,” and he makes it sound like their involvement was a key factor in convincing him that this movie should happen. Who knows, maybe he liked The Green Hornet?